Ford Recalls 485,000 Escapes And Mavericks With Throttle Problems : The Two-Way Ford says the vehicles' cruise control cables can cause the gas pedal to stick. Ford Escapes sit at a Ford dealership in east Denver. Ford says that 485,000 Ford Escapes and Mavericks — which are sold in Europe — may have problems with its throttles. The AP reports Ford issued a worldwide recall for model year 2001 through 2004 small sports utility vehicles "that are powered by 3-liter V-6 engines with cruise control." "The U.S. National Highway Traffic Safety Administration has received 68 complaints about the problem, including 13 crashes, nine injuries and one death. A teenage girl died in the January crash of an Escape in Arizona. "Ford says the cruise control cables can snag on the plastic cover atop the engine and cause the gas pedals to stick. Dealers will replace the engine cover fasteners and raise the covers to make more room." Earlier this month, Ford recalled 11,500 2013 Escapes. As we reported, the company was concerted that a fuel line could leak, "potentially resulting in an underhood fire." 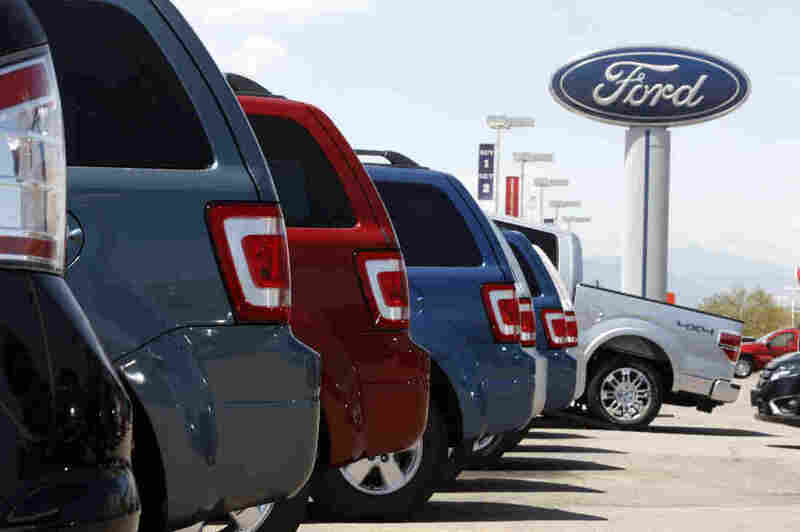 "After our reporting, the National Highway Traffic Safety Administration (NHTSA) opened an investigation into 730,000 2001-2004 Ford Escapes and its sister SUV, the Mazda Tribute for possible stuck throttle issues. "NHTSA Administrator David Strickland told the ABC15 Investigators that the recall does not stop its investigation."